Sometimes things are taken for granted and when they're taken from us we don't know how to move on. 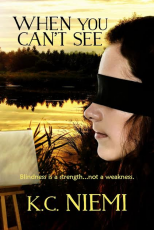 After a car crash that leaves her blind, Megan Green struggles to live life the way she wants to. As she tries to find a way to be an artist she finds comfort in friends, family, and a potential boyfriend.